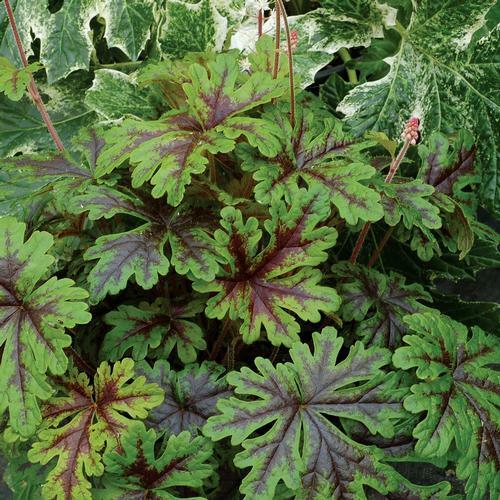 Extremely detailed cut and lobed foliage is dark green with maroon centers. Very pale pink flowers bloom on pink 16" scapes. Compact habit.